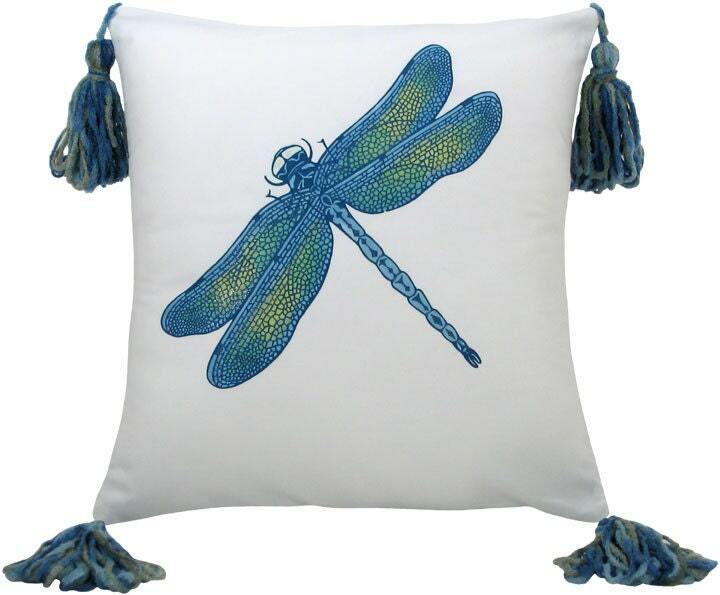 Embellished with chennile tassels this pillow features a handpainted dragonfly in irridescent blues and greens. The back is coordinating blue cotton velvet. Machine washable. Cold. Gentle Cycle. Dry Low.